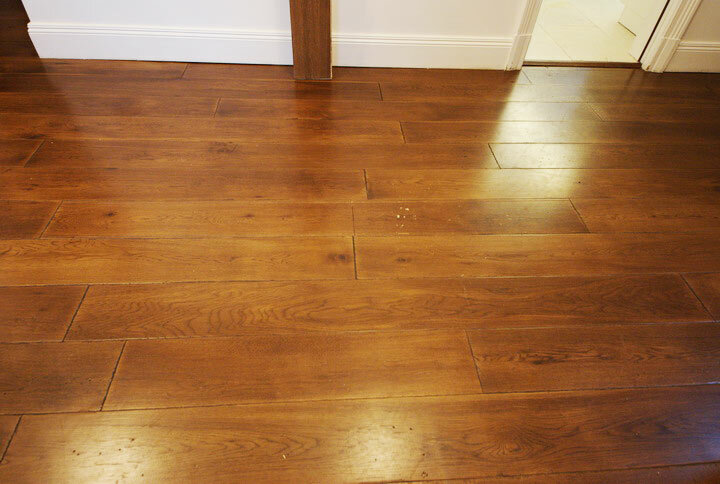 Bellow are pictures and descriptions of how to replace a floorboard in a hardwood floor. This method only works if the floor is either glued to the sub floor or nailed to the sub floor. I get called out a few times a year to replace damaged floorboards. In the pictures below the heavy glass light fitting had fallen on the floor after two years of hanging on with one screw into plaster board. The floor is an engineered floor but it makes no difference if the board is a solid wood board when we have to replace a floorboard. If the floor is floated (where the tongue and grooves are glued together) this method will not work. This is one of the many reasons why we never float wood flooring unless we absolutely have to. The damaged board is shown in this picture after a saw has been used to run down each side of the board and also across the middle (the cuts are visible if you look close). The damaged areas can be seen on the same board as the light patches. The damaged board is now lifted out from the middle with care taken to remove the tongue and groove that are locked into the neighbouring boards. This is why its impossible to replace a floor board in a floating floor as the tongue and grooves are all glued together and are exceedingly difficult to separate. This photograph shows the board now removed from the floor with out damage to the neighbouring boards, the lines that can be seen are where the board was glued to the sub floor. 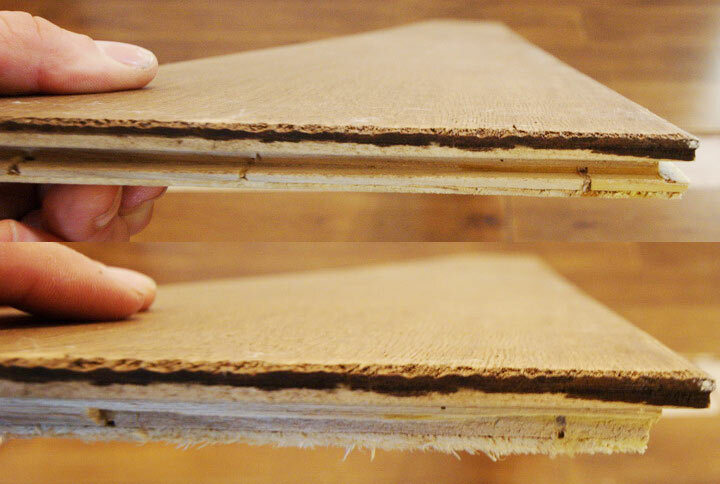 The replacement board is the same length as the one that was cut from the floor and the bottom of the groove must be removed from the replacement board along with the tongue at the end. This board is now fitted by sliding the tongue into the groove side of the exposed boards and pressing down on the groove side of the replacement board. That is how to replace a floorboard in a hardwood floor. 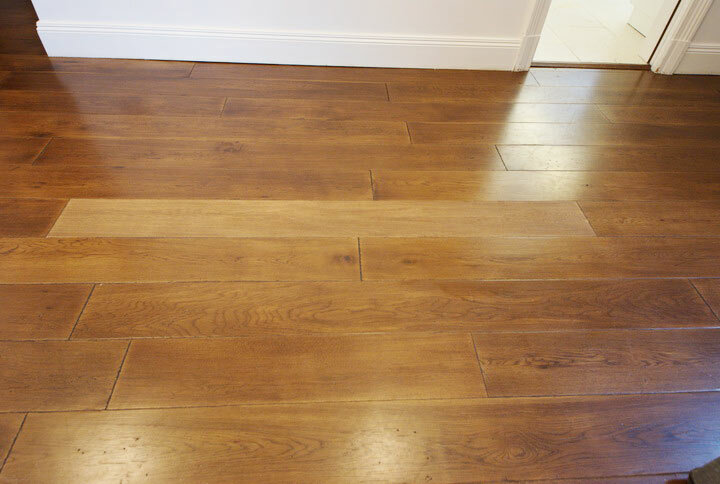 This board was then finished on site with Osmo Hardwax oil to match the old floor.